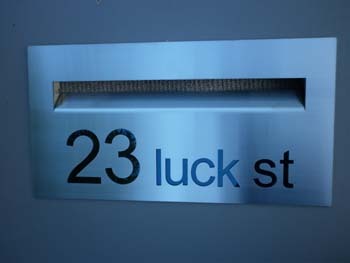 Modern stainless steel house sign modern house sign  - $187.00 : Letter Box King, Best value letter boxes and lettering! 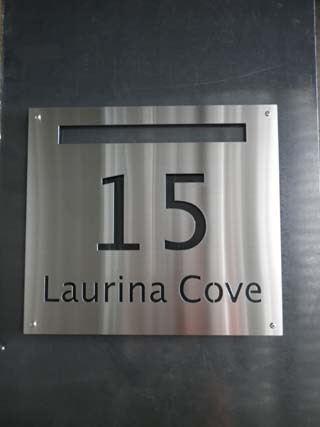 Modern house sign made from marine grade stainless steel 1.5mm 316 brushed finish. 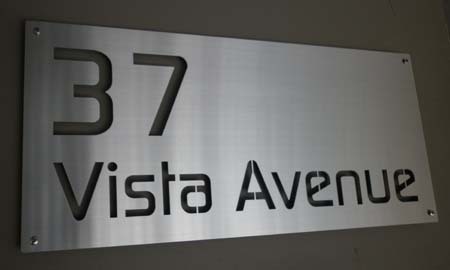 The sign is 540mm long x 250mm high. If a different size is required, please email us for a quote. 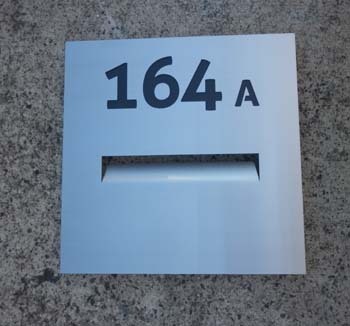 This sign will be supplied with 4 fixing holes unless requested without holes. Required text can be nominated in the comments box, or you can send us an email.